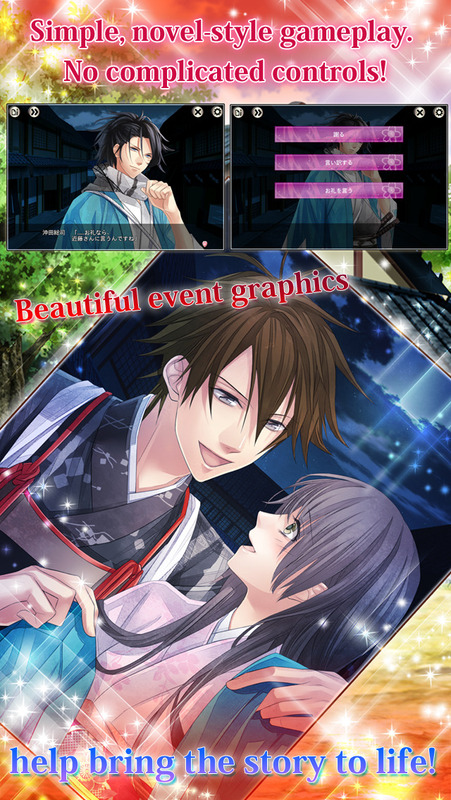 "The Amazing Shinsengumi: Heroes in Love", a romance game set near the end of the Edo period, is now available on smartphone! 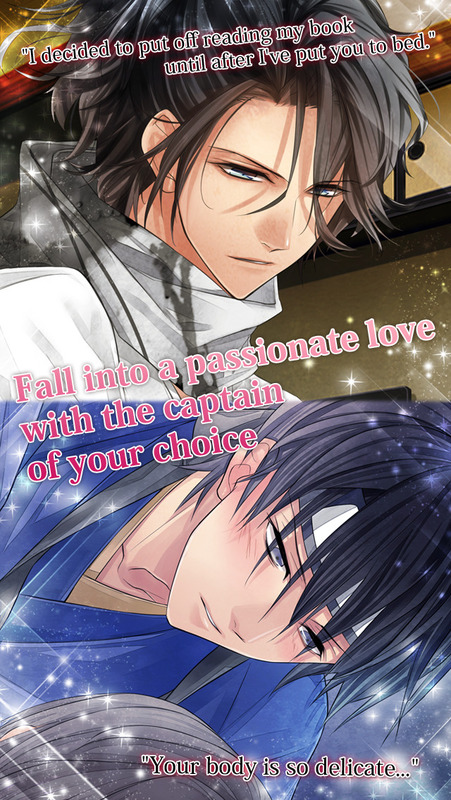 Download now for free and fall in love with a Shinsengumi captain! ※Nagakura Shinpachi, Harada Sanosuke, Todo Heisuke I will be able to select in the version up. The Shinsengumi: defenders of the capital. 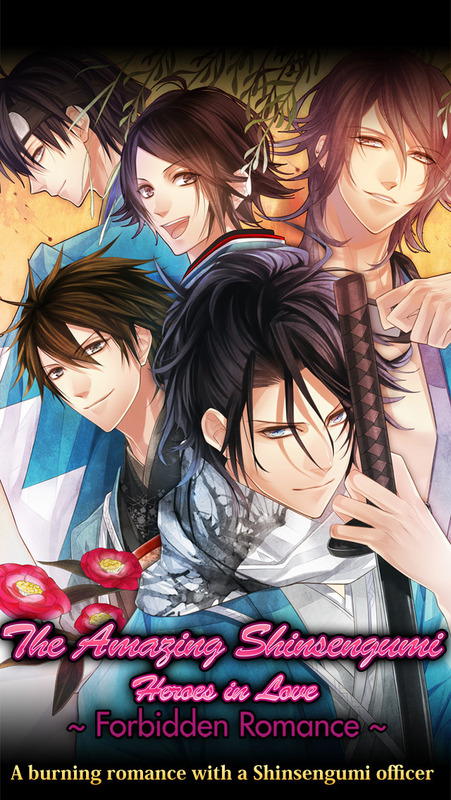 In this game, you can fall in love with a rugged, passionate Shinsengumi captain. The characters are all designed by Nagaoka, a popular otome game artist! Captain of the First Corps. Sarcastic and ill-natured but has a strong devotion toward the Shinsengumi. Captain of the Third Corps. Hard to read and doesn't talk much. However, he is nothing but considerate toward others. Captain of the Second Corps. Trusted by all. Caring, and has a brotherly disposition. Captain of the Tenth Corps. Flirtatious, and can be dishonest from time to time, but very kind to women and children. Captain of the Eighth Corps. Innocent and straightforward. 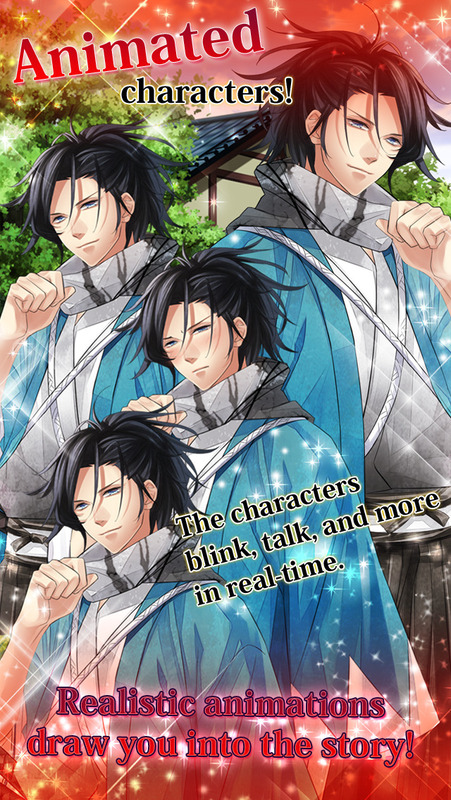 The characters in "Shinsengumi: Flames of Love" blink, talk, and more! You'll feel like you're right there with your man. Since "Shinsengumi: Flames of Love" is a visual novel, there are no complicated controls. Just start up the game, and you can start wooing the man of your choice! ...you like the Shinsengumi and Japanese history. D3 Publisher, Inc. has published a number of popular romance games, including the Vitamin series and Storm Lover series. They've been in the industry for a long time and know how to hit you right in the heart!